The instrument is one of the results of my six-year research project at Tilburg University. 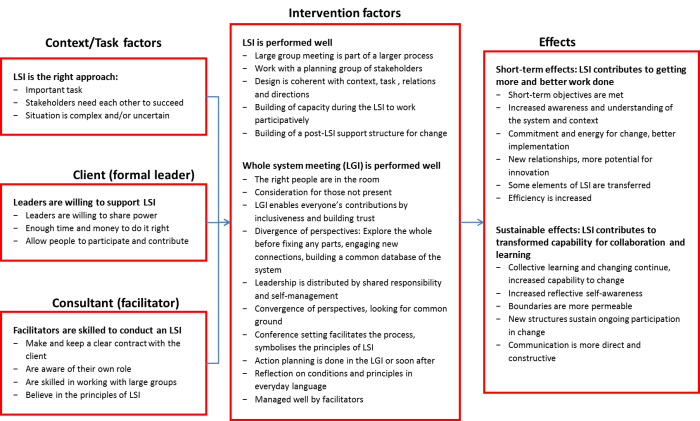 It is part of a practical guide for sustainable change with the whole system of stakeholders. Just as for medical treatments, this guide gives answers to questions as ‘When and how to use this? What are the success factors? What are effects on the short and longer term? The guide is based on evidence from theory and practice, it contributes to the practice of Evidence Based Consultancy.